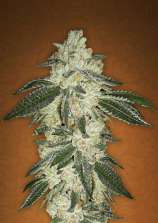 Here you can find all information about the cannabis breeder Cultivated Choice Genetics. We've collected data about 7 Cannabis Strains breed by Cultivated Choice Genetics. 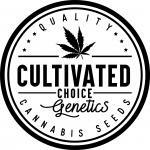 Click on the strains to find more informations, pictures, reviews, comparisons and sources for a variety - and/or check out the Breeder Info here at the page to find out more about Cultivated Choice Genetics. Its also possible to visualize all Cultivated Choice Genetics strains together with all their Parents or Hybrids with our dynamic maps - check it out! Click here to visualize all Cultivated Choice Genetics strains including all known hybrids and descendants with our dynamic map! Here you can watch all Cultivated Choice Genetics strains and their ancestors (sorted by origin) with our dynamic strain map! Gee, from Cultivated Choice Genetics has been around cannabis his entire life. A second generation cannabis breeder, now living in Colorado, Gee is continuing in the steps of his father with new school elites, as well as old school tried and true trusted genetics. 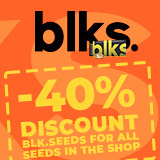 , Seeds are made in relatively small batches, all crosses are very carefully selected for vigor, terpene profile, stability, and bag appeal.